LUDWIG VAN BEETHOVEN (1770-1827): Violin Concerto, Op. 61, in D Major. Beethoven’s Violin Concerto was written in 1806 and dedicated to the virtuoso violinist, Franz Clement. However, the premiere performance was unsuccessful and the work languished in obscurity until revived in 1844 by Joseph Joachim. Since then it has remained among the most popular and best known of concertos. 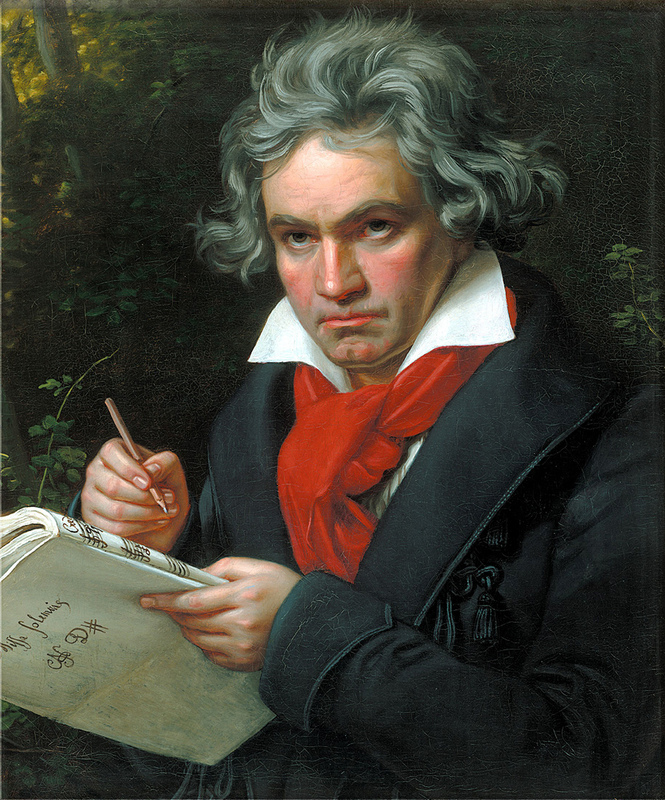 The year 1806 marked the beginning of Beethoven’s “middle period.” Having come to terms with his growing deafness, Beethoven came into his own as a composer, breaking free from the classical, Viennese style of Haydn and Mozart and asserted his own voice in the new, heroic style exemplified by the Symphony No. 3, Op. 55, and other large works, such as the “Appassionata” Piano Sonata, Op. 57, the Fourth Piano Concerto, Op. 58, the “Rasumovsky” String Quartets, Op. 59, as well as his Symphonies Nos. 4 and 5 - both completed in 1806. Like Beethoven’s Rondos for Violin and Orchestra, Op. 40 and Op. 50, from the late 1790s, the Violin Concerto shows a strong influence from the French school of violin playing, exemplified by Viotti, Rode and Kreutzer. The French influence is most notable in the “martial” beat of the timpani in its opening and in the prevalence of figuration in broken sixths and broken octaves in the solo part. The first movement begins with five soft taps of the timpani. Another extraordinary feature follows moments later, when a timpani roll accompanies a surprising outburst of D-sharp, an intrusion which is repeated several times and has been referred to as the ‘dark’ in a work that moves “between sunshine and shadow.” Lyricism abounds in the hymn-like second movement, formally a simple theme with variations. However, here Beethoven repeats the theme verbatim, varying only the instrumental colour against the lightest of accompaniment. An outburst from the orchestra interrupts this reverie, and the soloist’s cadenza segues directly into the third movement, a lively rondo with a jaunty folk-like theme introduced by the soloist and answered by hunting calls from the horns. The soloist is called upon to deliver displays of increasing virtuosity, leading to a brilliant cadenza. The final orchestral restatement, while veering briefly into the minor, closes this concerto as energetically as it began.